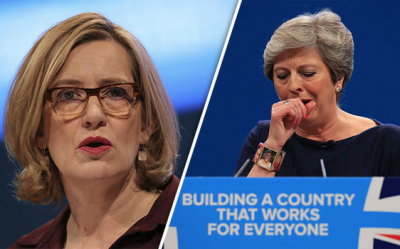 Theresa May and Amber Rudd have clearly lied about the scandalous deportations of the Windrush citizens – British grandmothers and grandfathers (immigrants from the Caribbean) who have worked and paid taxes all their lives in Britain. They have been treated extremely badly and this episode shames the country as a whole. You would have thought that the political shock of such an event, involving the resignation of the Home Secretary would instantly cause a reversal, of all deportations currently being conducted. But now it seems – even as Rudd has provided the so-called ‘human-shield’ for Theresa May’s own policies at the Home Office, they have continued to deceive. Over a week ago, the Home Office had promised to set up a special 20 person unit immediately to tackle the problem and ensure the Windrush Generation were given their correct documentation and no time-limit permit within 14 days. After a week of repeated apologies to the victims of the Windrush scandal and assurances by Prime Minister Theresa May and Home Secretary Amber Rudd that they would not be facing any more deportations, we have discovered evidence of a specially chartered removal flight to Jamaica next week (published April 28). We know of at least three grandmothers with British families who were due to be removed on the secretive flight. One, Yvonne Williams, a 59-year old grandmother of seven, whose mother arrived from Jamaica in 1962, had been detained in the scandal-ridden Yarl’s Wood detention centre for OVER EIGHT MONTHS since last August. She had been given removal directions by the Home Office for next week’s flight despite all her family being based in Britain and having none in Jamaica. Thankfully, on Friday, the Home Office told Yvonne after she had been incarcerated for months away from her elderly mother, 82, and from the grandchildren that she had been caring for, that she would not be removed on the flight and that she could finally be released from detention. Yvonne says she has not been given a reason why she has been released now after nearly nine months incarcerated with the threat of deportation by the Home Office. Another grandmother incarcerated at Yarl’s Wood detention centre has not been as fortunate. She was born a citizen of the UK and Colonies eight years before Jamaican independence. Yvonne’s father and mother came to the UK in the 1950’s. Yvonne stayed behind with her grandmother joining her British siblings and father in Birmingham after her mother and grandmother passed away. Her brother, sisters, nephews, nieces, children, grandchildren are all British and she has no family left in Jamaica. Yvonne has been making attempts to regularise her stay since 2010 as the main carer for her 92 year old father. The Home Office insists that she has not got enough significant family ties and has incarcerated Yvonne since last August. Being detained for over eight months has also taken its toll on Yvonne’s health. She has been diagnosed with Diabetes since being locked up, complains of pain and her eyes fading. “They treat us like criminals in here, come into your room, search you. We are treated worse than pigs,” says Yvonne who received removal directions on Friday saying that she would be on charter flight PVT070 to Jamaica any time after 5 working days. At the time of writing this article, Yvonne is still due to be removed on the flight and we have heard of another Jamaican grandmother locked up in Yarlswood scheduled for the charter flight who is 66 years old. “All charter flights rob people of the right to fair hearings and due process. PVT070 and all charter flights need to be stopped,” said Karen Doyle of Movement for Justice, who has been supporting both Yvonne Williams and Yvonne Smith. She called for an amnesty to ensure fairness for a wide definition of the Windrush generation who had come to work in Britain from the Commonwealth as well as their families. The Home Office refused repeated requests for a comment on the flight. Since Theresa May was Home Secretary, the Conservatives have forcibly removed thousands of people to Commonwealth countries. Over 7,600 people have been returned to countries including Jamaica, Nigeria, Pakistan, Sri Lanka on charter flights on the controversial Home Office charter escorted flights since 2010. Home office chartered removal flights are controversial and very secretive, with people due to be removed given only a few days notice and not told what day they will be deported. Movement For Justice are organizing an emergency protest outside the Home Office on Tuesday. Featured image is from TP.